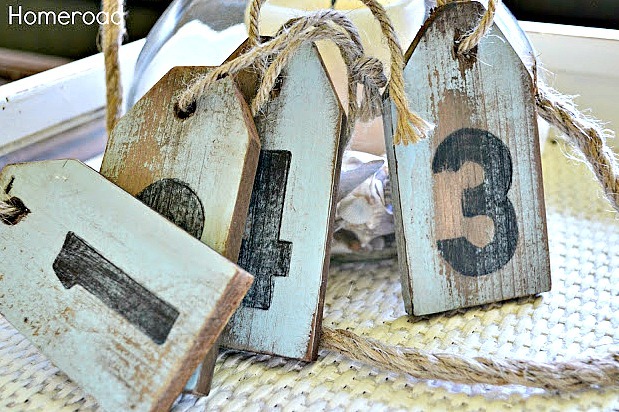 These adorable nautical tags are made from the slats of a not-so-old crate that had been painted light blue. I'm including my affiliate links in bold letters so you can re-create this project using the products I recommend at no additional cost to you. 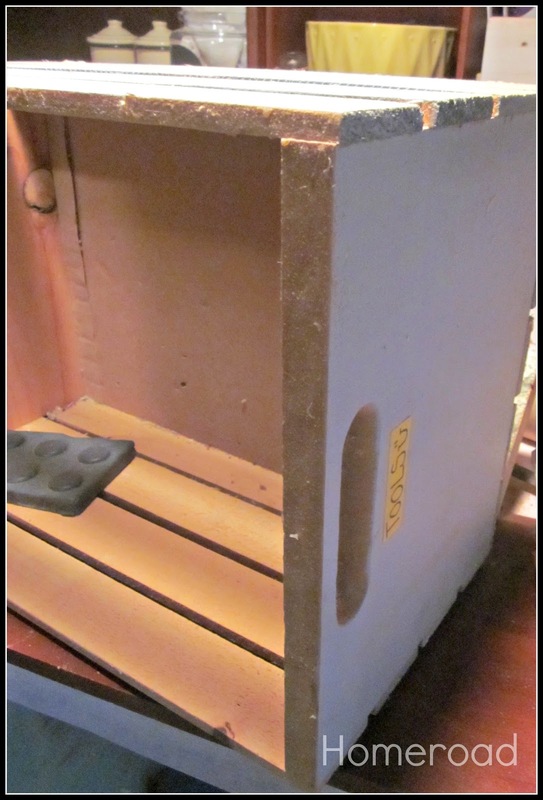 Using the shop saw, I cut the slats into tag shapes, then sanded off some of the blue paint. I dipped each tag into a vinegar/steel wool solution to get that old weathered, aged look. Holes were drilled for jute to hang the tags. Each tag got a stenciled number. Then using a paint stick, I painted in the numbers. To distress the new paint look of the numbers, I gave them a good sanding then added the jute. out on the open sea! These are very cute and they do have that perfect weathered look!! cute, cute! But what is a paint stick? Joyce, joyce, joyce... I hope you get this reply (Your settings are not set to get replies to your questions)... A paint stick is like a Sharpie marker but it has paint in it! Lots of colors... Michaels Craft store... awesome! Of course I love them. So I pinned 'em. Oh my gosh these are gorgeous! I am in love with them! Susan those are perfect, you know they would charge oodles for those in a shop. Nice work. Way too cute, love your tags Susan! I LOVE them!!!! Seriously wish we lived closer and could play!!! ;) Enjoy the Son, my friend! Love these Susan! Another awesome project! Love these bunches! Watch out, me thinks Pottery Barn will copycat you for next summer's catalog. LOL! Saw these on FB and Hometalk! They are so adorable! And I'm so glad you explained what a paint stick was because I was in the dark! Oh my gosh, those are too stinkin' cute. 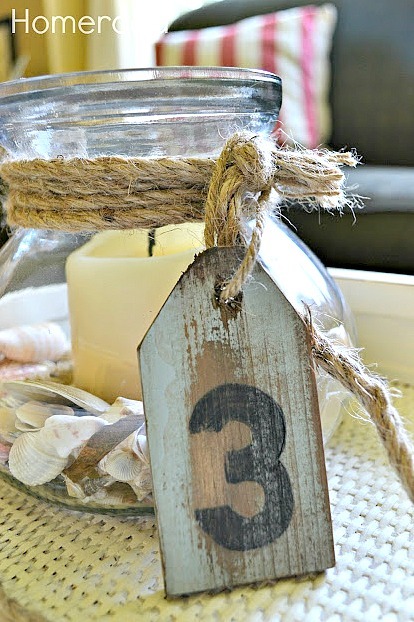 What a great summer decor idea! These are really cute number tags. Great summer decor, but they would be awesome in any decor. I love these, want to make some too! Thanks for linking up. Wow, these are great! I think they would look great in a French style decor too! The jar is cute too....!!! I really really love everything about these! Can't wait to try! My oldest daughter is getting married and my head is buzzing with ideas and ways to use these. Thanks for the tutorial! What is the solution that you used to age them?